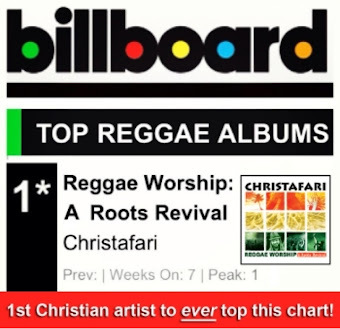 9 months after being released, album jumps to #1 – making Christafari the first Christian band in Billboard history to top the Reggae chart. (LOS ANGELES, California) -- Nearly nine months after it was first released, Gospel reggae pioneers Christafari have jumped to #1 on this week’s Billboard Reggae Albums Chart with their latest album, Reggae Worship: A Roots Revival. While Christafari is no stranger to the Top 10 on the Reggae chart, this marks the first time in Billboard’s history that a Christian band has secured the top spot. On Reggae Worship: A Roots Revival (Lion of Zion Entertainment), Christafari reworks classic hymns, reinterprets many of today's top worship anthems and gives fans a handful of original worship songs that truly capture the band's signature sound. "We've been blown away by the positive response from our fans and the press for our latest album,” says Christafari’s founder and frontman, Mark Mohr. “To think that just a year ago we were asking our fans to help fund this album and now we are #1 on the Billboard chart! It's an honor to be the very first Christian artist to ever top this mainstream chart—and to do so with a worship album is even more incredible!" Christafari has spent much of the last year on the road, touring internationally including stops in Fiji, New Caledonia, a month-long tour of Brazil and the United States, including a just completed 24-city Hawaiian island tour that resulted in 531 souls saved. In the coming months, the band will return to Hawaii and Brazil, and perform throughout the continental USA. The band was recently featured on ABC Family’s The 700 Club, and TBN filmed a live concert appearance in Hawaii for an upcoming special broadcast. With over a half million albums sold worldwide, Christafari is the all-time top selling Gospel Reggae artist. 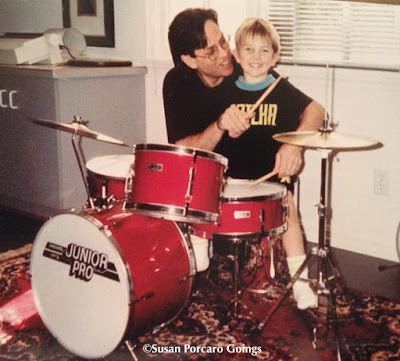 The band continues to tour worldwide, performing more than 100 shows each year reaching more than 50 countries. For more information, visit www.christafari.com.